As an associate in Hahn Loeser’s litigation group, Teresa J. Hardymon manages a variety of legal disputes involving contracts, products liability, negligence, intentional torts, workplace discrimination, securities regulation, and real estate. In handling all stages of litigation, Teresa has experience drafting pleadings, motions, trial and appellate briefs, and discovery. Before joining Hahn Loeser, Teresa worked as a litigation paralegal for a general liability defense firm in New York representing insurance carriers seeking repayment of benefits under automobile insurance policies. Teresa’s area of expertise included healthcare provider insurance fraud, no-fault litigation, no-fault arbitration, and appeals. Teresa also worked as an intern for The Office of the Franklin County Prosecuting Attorney where she gained experience in electronic discovery. 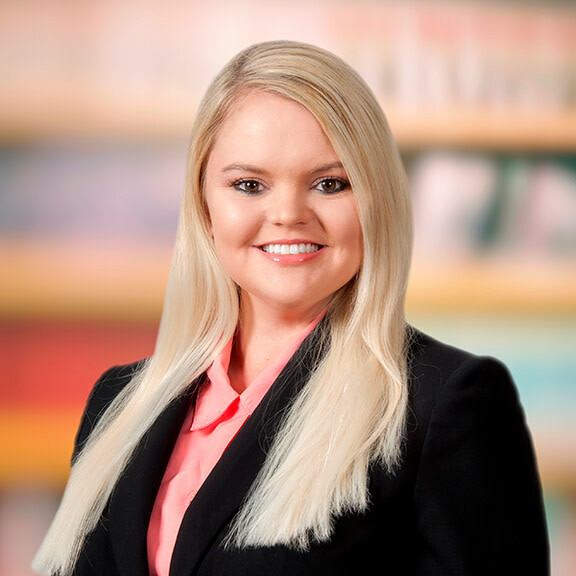 While in law school, Teresa excelled as a member of Capital University Law Review and was the recipient of two CALI Excellence for the Future Awards in recognition for her having the highest grades in her class for Legal Research and Writing and Business Negotiations. Teresa received the Trustees’ Merit Scholarship and graduated from Capital University Law School with honors. She also received a concentration in Alternative Dispute Resolution. Teresa is a Columbus native and life-long Buckeyes fan. After college, she moved to New York for a position as a Group Sales Executive with the NHL’s New York Islanders, before transitioning into the legal field. However, she always remained true and loyal to the Columbus Blue Jackets and knows that one day they will bring the Stanley Cup to Columbus. Teresa rowed crew for eight seasons in high school and still attends local regattas and participates in alumni races when the opportunity arises. She has been an avid fly-fisherwoman since she was eight years old and attempts to fish every Sunday, weather permitting. Her dream is to retire out west and spend her days as a fly fishing instructor. U.S. District Court for the Southern District of Ohio, 2018.